Cindy Crawford—a 47-yeard supermodel glamazon who looks downright sickening in a recent photo shoot for V Magazine—and her beau-hunky former model turned restaurateur husband Rande Gerber have had a real estate foot hold in Malibu. 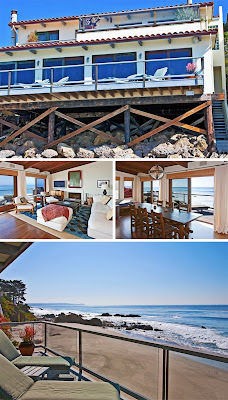 Their main Malibu residence is an ocean front compound that clings to a steep hillside but, since 1998, they've also owned another, much more modest ocean front residence on a sandy stretch of sand between El Matador State Beach and the quickly disappearing Broad Beach. 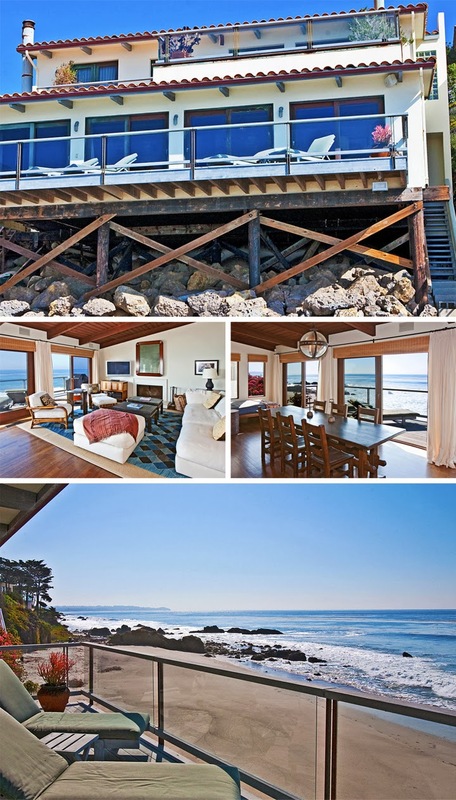 They paid, as per property records, $1.85 million for the upgraded and well-maintained semi-Spanish-style beach house and currently have it up for lease as a long-term furnished rental at $19,500 per month. Current digital marketing materials reveal the beach-front house sits down a shared but private and gated street and has 3-4 bedrooms and three bathrooms in 2,413 square feet that also includes an main living area that opens through numerous wood-framed sliding glass doors to a glass-railed deck with direct beach access and contemplative views up and down the sand and surf. If it weren't for the view, this wouldn't even merit a meh. I think this this beach house is lovely and the views are spectacular. If only it wasn't so cozy with high tide. I don't think their main residence is that you have described in the article, Mama. Rather, it is a Spanish-looking home in Brentwood. 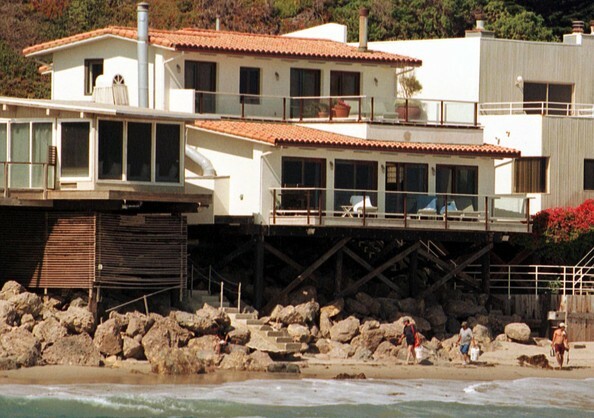 They do, however, own a parcel of four homes also in Malibu. About reference to Broad Beach, it was originally name after its deep sandy beach. She's a short walk up the coast from it so similar situation. First pic below shows breadth of sand well above sea level. The second pic is stone revetment. Latest solution in heated discussed is bringing in sand at cost of $20 mil / private funding. It's all tragic beyond words. My former home is in both pics. Kills me to look at the tide now. On bright side, fantastic memories. Before erosion, taken 1974. -- Erosion, taken 2012.